Mobile storage containers are a much more convenient alternative to traditional storage locations, mobile storage containers can be delivered to your home or business for you to load at your own pace. No need for driving your possessions to and from a storage facility when the mobile storage containers are located right outside your door. 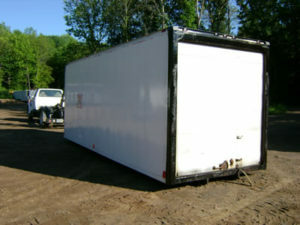 Our Mobile Storage Units are a great new option for all of your storage needs. seasonal storage facility, or simply just space to store extra stuff.